This website's name (Bible of God), isn't suggesting that any of what is written here is inspired by God through the author. All the of teachings you find here are my deductions, based on many years of research and seeking out the Truth. My aim is to as accurately as possible, unveil God's intended messages to us. Essentially, I am attempting to Recover, Decipher and Teach the Original Word of God (The Bible) in it's purest form. I do not accept/collect Donations, Charity or any other monetary contributions. Instead of being dependent on money, let's simply share the truth of God's word with others. There are several sharing options to the Top of each page, including a "Print" button. 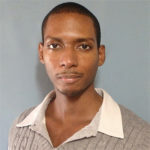 My name is Andrew Emmanuel Davis, and I'm the author of the teachings that you'll find on this website.